Having a body is a threat and a blessing. There is a peculiarity in having a body at all - becoming aware of it once it malfunctions. Symbiosis failure. A feeling of control - sometimes by “force”, a body, pressuring it to do as one commands. A feeling of having control, and then falling. Falling uncontrollably. A will stronger than the body. But there’s also an erupting freedom that accompanies the force of taking control. Accentuating, turning: on. Its unstoppable and stealth mode is not an option. Femininity is a genderless form of expression. Closing in on it is taking a risk. It’s coded as weak, a feminine body/expression often has to prove itself again and again, and balance on a borderless border. Questions pour down on you, and you try to stick words to feelings, feelings that are fleeing. A pendulum that swings around in a circle, and swings again, giving off erratic movements. Facets can be added - and add light. Sighing, another kind of force, carry on, for the sake of things. One latches onto a bar and pulls upward. In Helene Nymanns video-work Head On My Dear, we are presented with a Medusa-like character. The image, with its neon colours and slow repetitive pace is made up of opposing elements. Uncertain if the person is in pain, a victim, or a submissive receiver in a sexual act, a peculiar calm and state of surrender also meets the eye. As if the universal myth and the iconic image of a beheading is already so deeply ingrained in our collective subconscious that it, or we, as spectators have reached a state of transcendence. As such it is no longer the image that holds our gaze, but more our own interpretation and memory of the image. It is here that Nymann in Head On My Dear provides us the space and time for introspection. Helene Nymann, born 1982 in Copenhagen, Denmark. 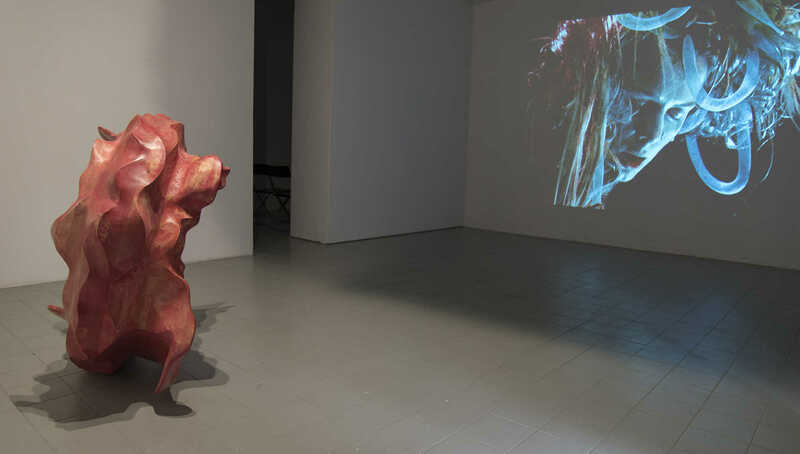 Helene Nymann’s multi-disciplinary artistic practice addresses the idea of embodied knowledge, contextual and experiential forms of receiving and transmitting ideas. Interested in the borderline between the natural and the digital worlds, Nymann constructs performative environments in which the moving image, sound, and sculpture make way for transformative arrays of consciousness. 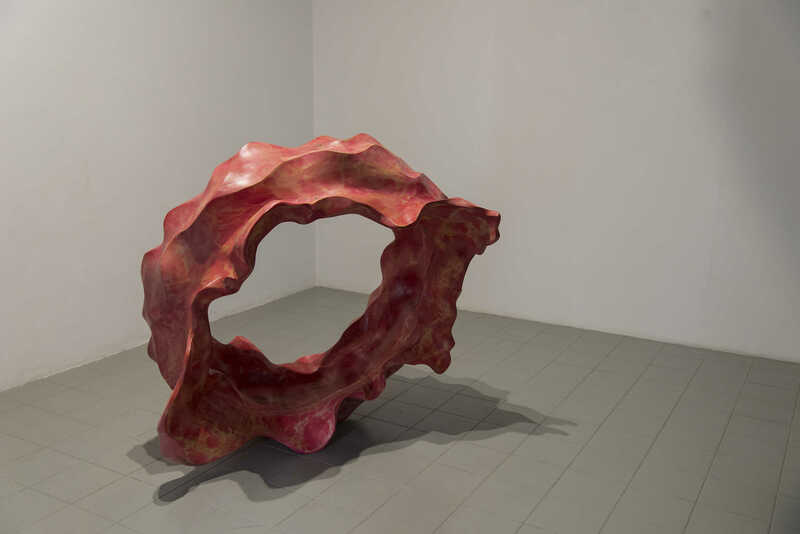 Mixing flesh and beauty, desire and brutality, Samaneh Reyhani speaks through her sculptures. Her voice is seemingly soft and seductive, but upon a closer listen the sweet sounds are revealed to contain words of collective rage, wishes and hidden feelings. They fully occupy the space given to them. They grow with integrity and a mind of their own. Reyhani will show several sculptures at Molekyl. The largest one, Saghi, is flower-like, crown-like, similar to an eruption or an opening. Like an altar where things can be conjured. In Iranian mythology Saghi is a wine server (or cup bearer), who pours wine. A glass of wine is widely accepted to mean a lover, and wine itself is a symbol of love. Samaneh Reyhani was born 1990 in Tehran, Iran. 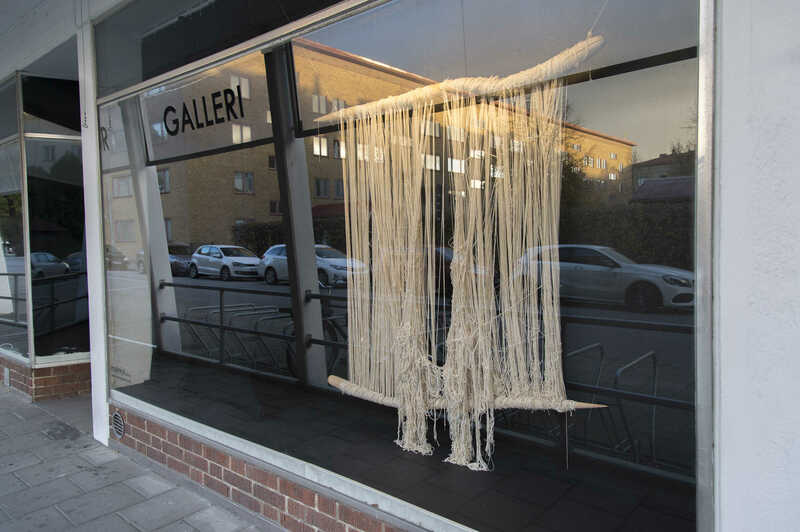 After receiving her Bachelor of Sculpture from the University of Arts in Tehran in 2014, she moved to Sweden where she received her Master of Fine Arts from Malmö Art Academy in 2017. She has exhibited in museums and galleries in Iran and Sweden, and has most recently participated in a group show at Ystad Konstmuseum, titled The Encounter of Bodies. Maja Borgs experimental film MAN shows a person, the artist, who undergoes the temporary transition of pregnancy. With a masculine clothing style and body language, a clash is apparent when entering a condition strongly linked to womanhood. A recording of Virginia Woolfs voice guides us through the transformation process. Maja Borg was born 1982 in Norrköping. In 2005, Borg’s ‘To She In Me’ was selected for the Culture Bound 7, East Wing Collection at the Courtauld Institute, London, and she so became the youngest artist ever to exhibit in this context. Her first feature film ‘Future My Love’, which premiered at EIFF 2012, was nominated for the Michael Powell award. The film has been distributed internationally in cinemas, on television and in the visual arts context – including being part of the Moderna Exhibition ‘Society Acts 2015’ in Malmö. 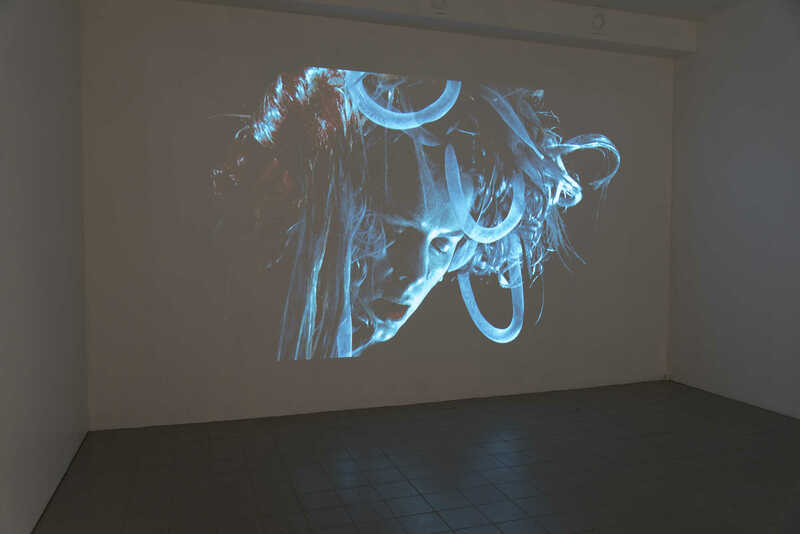 In 2010 Borg was bestowed an honorary award for distinguished work by Filmform – Archive for Swedish art film and experimental video. Maria Norrmans work explores hers and other people's fantasies, which often relate to how the body, clothing, identities and gender are perceived and presented. Norrman often examine how history is used as a tool for relating to one's surroundings, or as a strategy to repress it. The work explores why we fantasise and create images about topics such as war history, gender and sexuality. Norrmans main mediums are video and photography. She also works with costume making and clothing, performance and installation. Norrman graduated from the MFA program at Malmö Art Academy in 2013. Her work has been shown at group exhibitions such as Understrøm - young Nordic Art, Aarhus Art Museum, Denmark, 2014 and Hemskt Roligt curated by Peter Johansson at Gallery 21, Malmö, 2016. Norrman has had solo exhibitions at Molekyl Gallery, Malmö, 2015, Gotland Art Museum, Visby, 2017 and upcoming at Gallery Ping Pong, Malmö, 2018. This is the first exhibition she curates.